Early news from Nielsen in Australia has perhaps revealed the true performance of Facebook’s video ad streaming. A recent change in the way Nielsen reports video views indicates that Facebook has been hugely inflating the volume of actual video streams on their platform. It flies in the face of many commentators who claimed Facebook was taking over YouTube as the main video consumption platform, and is sure to make all Facebook advertisers re-examine their media plans in 2017. This news has come after a recent announcement that Facebook had overestimated the length of its video views by possibly 80% last year. This had huge repercussion for advertisers, who felt they were guided by unreliable metrics and who potentially spent a lot more budget on Facebook than they would have knowing the true impact. Nielsen do not reveal exactly how they altered the way they count view streams, but the effects have been truly dramatic. Streams in July of last year were at 8.6 billion, up to 12.506bn in August and 9.94bn in September. As of October, though, figures plummeted to just 560 million, followed by 580m in November. While this data only covers Australia, with such a dramatic change it does not take too much to realise that similar figures will extrapolate across other markets around the globe. The results of these new metrics have already taken effect with those using Facebook video ads. Video spend dropped by 32.4% in the last three months of 2016 in Australia and, crucially, spending grew on YouTube by 11.4% – Facebook’s main video ad rival. This news will be music to Google’s ears, who have been confident their video view counts provide a richer reward to advertisers than do Facebook’s. 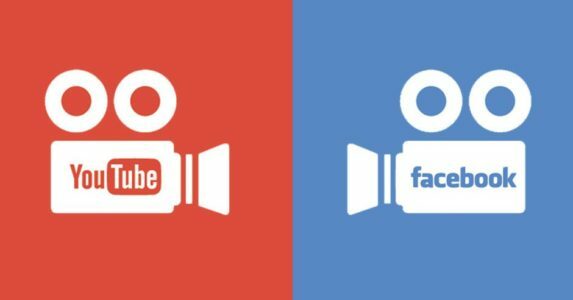 YouTube and Facebook have been locked in battle, with Facebook cost per view figures apparently fooling advertisers into believing platform was far superior for branding. One thing is for sure, and that is the need for third party data collectors to maintain the trust in the numbers, which is vital to avoid exploitation by both the platforms providers and the advertisers themselves who spend the clients’ money. While this news is based on findings in Australia, we expect similar stories and data to begin appearing in the rest of the world, and we think advertisers should start re-assessing their media plans now.